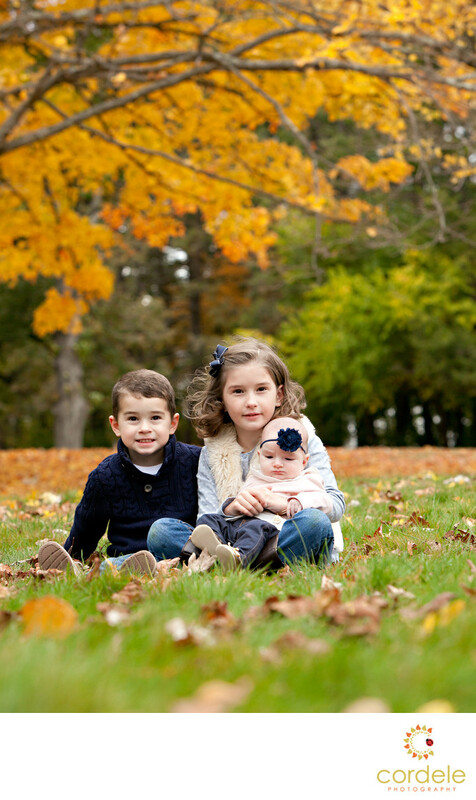 Three kids sit for a children's portrait in Walpole MA at Bird Park. This was their first sibling photo together. The fall colors of Bird park are always amazing and the kids love to play in the leaves once we are done taking their photos. They were such troopers to sit and wait while the baby stopped fussing.